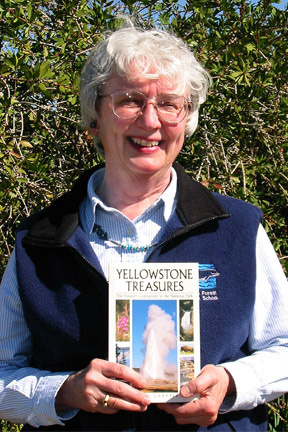 Author Janet Chapple is always happy to talk about Yellowstone National Park and her two books on the subject. She will be speaking at two bookstore events in Montana this month. June 14 is her appearance at This House of Books in Billings, a co-op store that has posted a nice image of a watercolor from Through Early Yellowstone to the blog on their website. On June 22 you can catch her presentation and book signing at Country Bookshelf in Bozeman. I will also be in attendance. You’ll find more details about both talks on our events page. Hope to see you there!